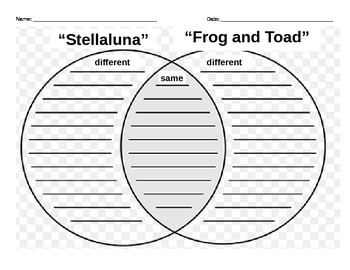 This is a Ready Gen Lesson with Common Core standards Comparing Frog and Toad to Stellaluna. 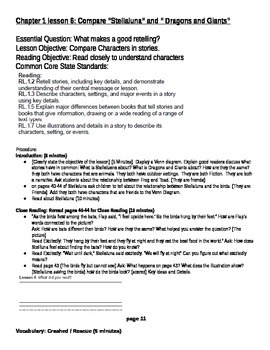 It is pretty much similar to the lesson given in the Ready Gen Teachers Guide, however because we all know administration does not want us to simply open our already written teachers guides (that would be to easy) it is typed up with minutes and the CCSS standards and the essential questions there are also some modifications I don't use the graphic organizers from Ready Gen I use my own. They are included. The supports for ELLs and Strategic supports are included. 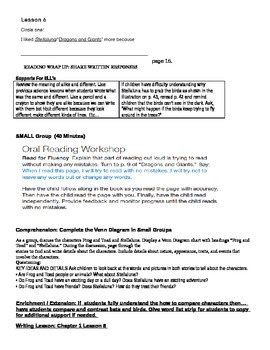 The lesson is editable if you want to make any changes. Hope this saved you some time.